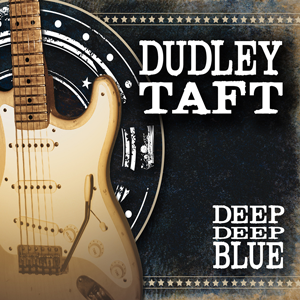 „Deep Deep Blue“ is the second solo-album from the American Grunge-Bluesrock artist DUDLEY TAFT after his successful solo-debut with „Left For Dead“. “Deep Deep Blue” was produced by Dudleys friend and musical companion John Kessler who is also playing bass on this album which features f. e. Chris Leighton (ex-IRONHORSE) and Jason Patterson (ex-CRY FOR LOVE) on drums and Eric Robert (Jason Miller/MOBY GRAPE) on keys. End of May 2013 Dudley will come to Europe to do some shows in Holland and Germany. A bigger European tour is planned for autumn this year.